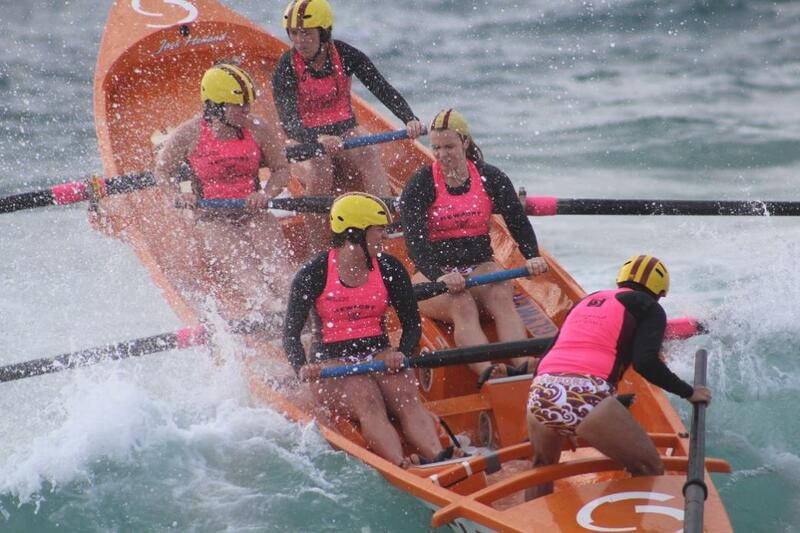 Challenging conditions faced rowers and sweeps in Round 2 of the Surf Life Saving Sydney Northern Beaches 2017-18 Surf Boat Premiership, so much so that some sweeps pulled their crews as conditions worsened and Officials put in place safety measures to assist those that raced in the divisions run. Crews met with waves to drench you by going out and many were pushed sideways coming in, ensuring some sweeps steered their crews to the south of the beach to bring them back to the sand. Those sweeps who took crews out and brought them back in are a testament to the skill and experience inherent in this sport and those individuals. Newport, the host club, put in a strong effort with their growing boat division even stronger this season. 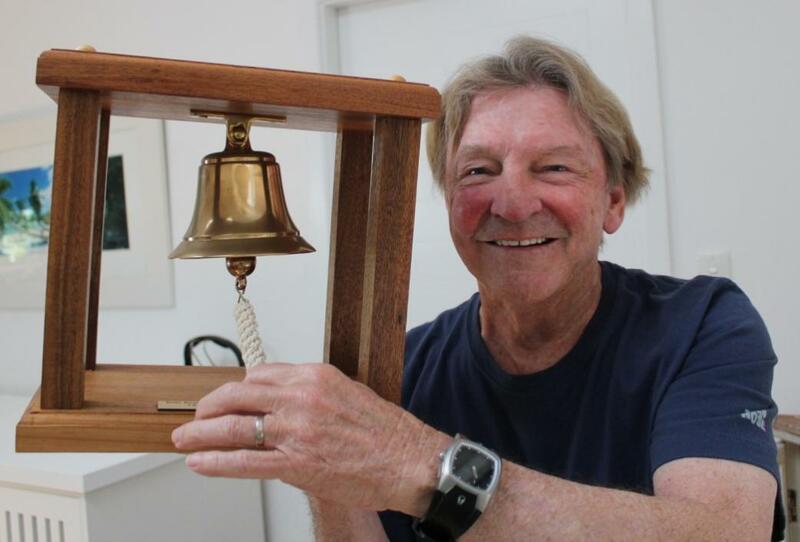 Mick Dooley with his Bell's Beach Bell; You have to Win it to Ring it! We're super Stoked this week to be bringing you a small insight into an Australian legend and Pittwater resident in the 1964 Bell's winner, when it was still the Bell's Beach Easter Rally, and the gentleman who won the 1962 Metropolitan Championship at Bondi and was in the water, and finals, not on the beach, in the 1964 World Championships at Manly. Over the falls, and over to the Profile of the Week page you go! 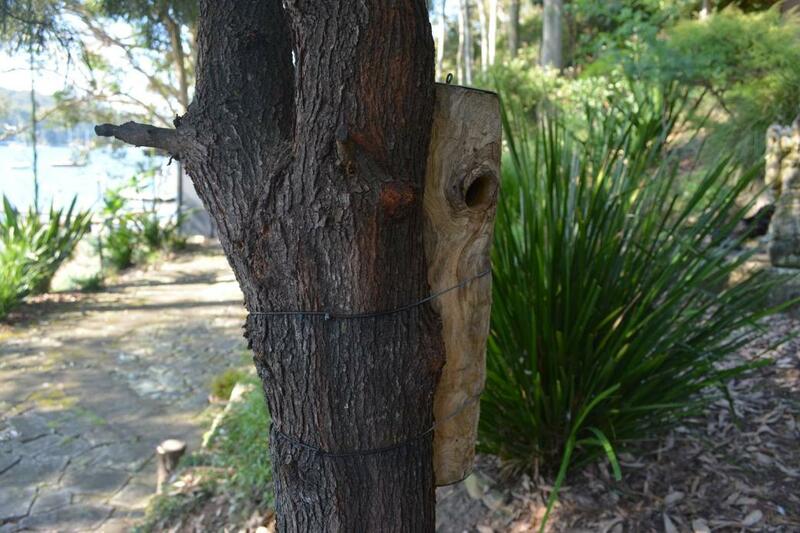 Monday will be a red letter for the young students of Cromer’s Goodstart Early Learning Centre as they set up their first nesting box to provide a home for Pygmy Possums, Feathertail Gliders, and Antechinus. Preparation for the event has included learning about the diet and habits of Pygmy Possums and a free flowing art project to draw these small marsupials. The reaction of the children has been dramatic. ‘ To say they are excited to be involved in this is an understatement’ said Centre Director Amanda Wilson. “The children have been engaged right from the start of the project’. This project is part of the Centre’s continuing focus on sustainability, both as an operational issue and an educational goal. Happy Birthday to the Bullets Regatta - run now during the 3rd weekend in November every year for 51 years. If you're out on Pittwater today you may see one of the foundation regattas for off the beach multihulls. In sailing terminology a 'bullet' is a patch of wind, sometimes fluky, which can create problems for those not aware of them and the places they may occur - such as the Pittwater estuary towards its Barrenjoey end - especially in that point at the western end of the headland. Others revel in such winds, speeding across the course between marks. 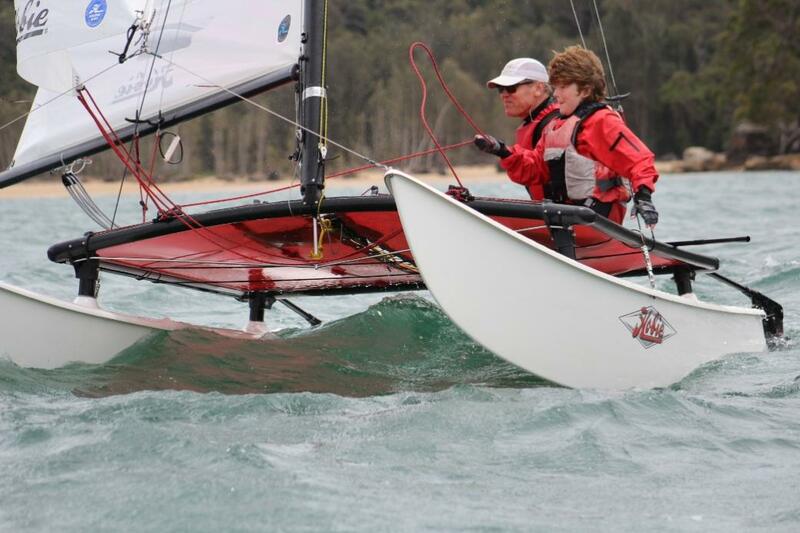 On Saturday November 18 Palm Beach Sailing Club opened day one of their annual 'Beware the Bullets' Regatta with participants on Hobies, Vipers, Wettas, F18's and Wildcats. A good breeze meant the multihulls were flying, with some warm-up spills and challenging conditions on a falling tide in towards Station beach. Palm Beach Sailing Club has a strong focus on being a family orientated sailing club and this was evident yesterday with fathers and sons, fathers and daughters, grandfathers and grandsons and just great mates having a great time sailing together. 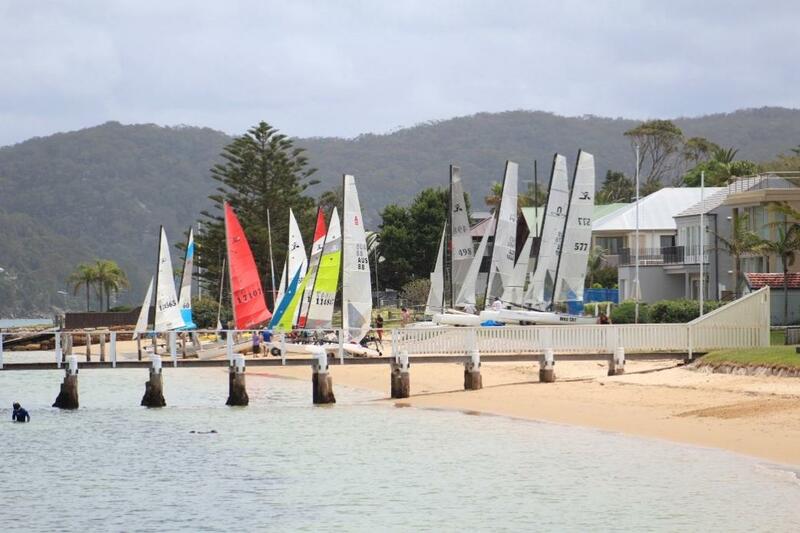 The Club sails from Sandy Point, Palm Beach, every weekend apart from during the Christmas Break. Their season begins at the end of August with a ‘Heart Starter’ and finishes in May with the wonderful ‘Fish and Chip’ run to Patonga. There are various Training Events and other social good fun days – such as the ‘Princess Race’ – one of our favourites, as well as a Club Championship throughout the Season. 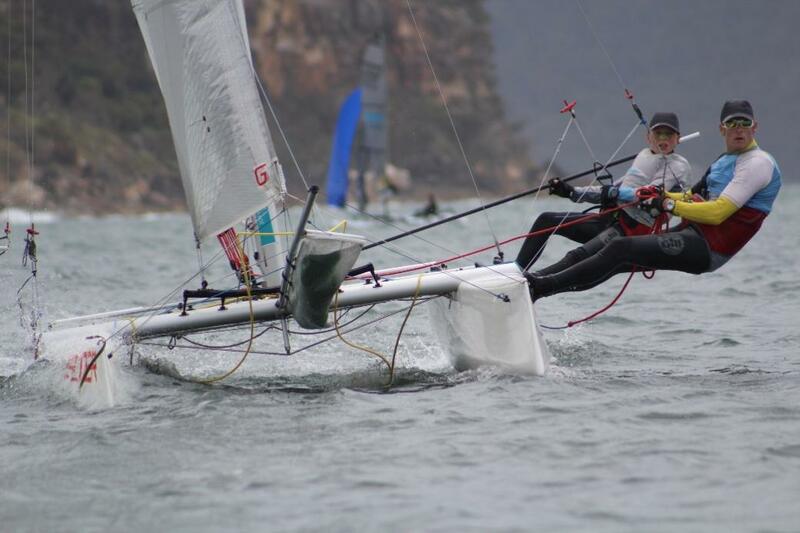 The Beware the Bullets Regatta is a feature on their annual racing calendar and brings together sailors from north and south of Pittwater to engage in some great sailing on the estuary and great shared meals after the days on water activities have been run. 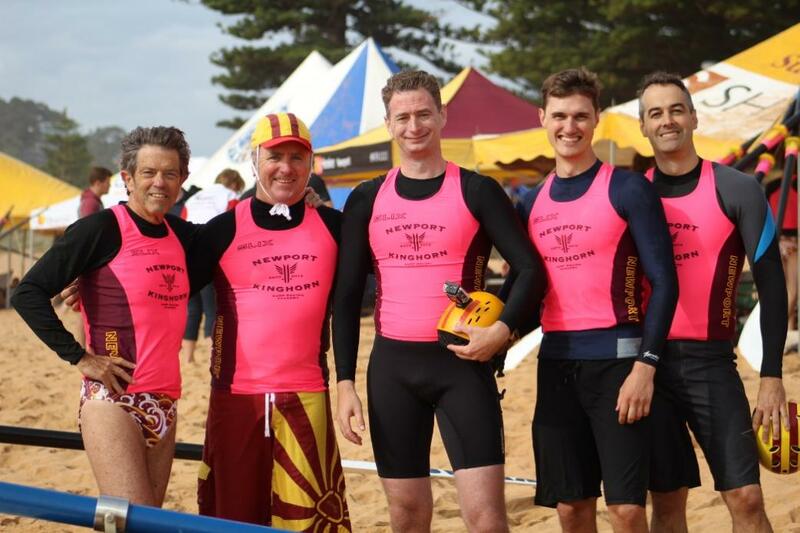 Members and visitors are among Australia's best in all classes of these off-the-beach racers and the club has fostered and launched Olympic and World Champions. The 13th annual Avalon Art Show opened on Friday morning with some works selling prior to the official opening that evening. Lucky for some - unlucky for those who didn't get there in time to secure their favourite among the brilliant works on sale. 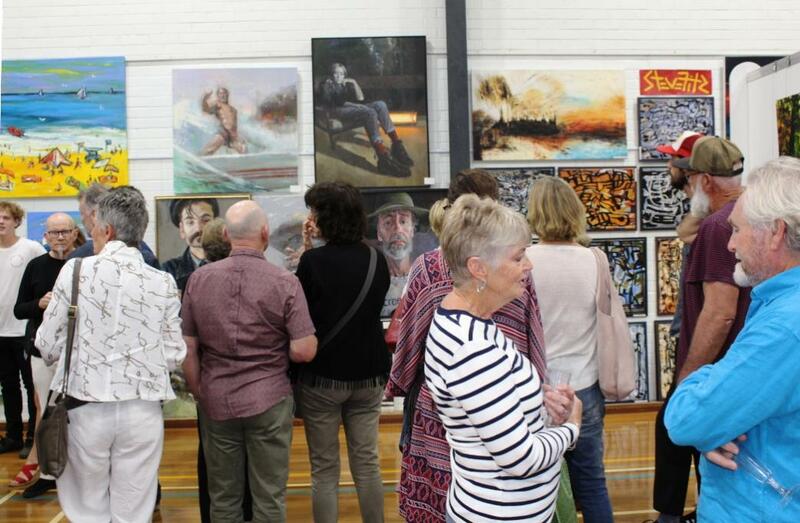 Although the Pittwater Community Arts organisation has folded, the two ladies behind this and each Avalon art Show, Lorrie Morgan and Debby waters, have carried on with Debby taking on all the paperwork and insurances required to run such an event through her Mixed Palette Arts School at Newport. The range of works ran from sculpture to the sublime glassworks made by Penel Bigg (now working hard as part of the team that ensures the success of the Pittwater Artists Trail) and included Phil Matchem a finalist Archibald works, the vitality captured in Nada Herman's works, the scope in Merediths Rasdall's and the technique seen in first-time exhibitors, many of whom were on hand to share how these works were created. A standout was the solid wall of Mixed Media works that have come from the students of Debby's Mixed Palette Arts School along the back wall of the room - the subjects were so diverse, the execution a testament to the tutors at the school and their creators - wonderful. On Tuesday November 14th members of the Avalon Beach Historical Society gathered for a special screening of Dr Jonathan King’s latest documentary, Palestine: Last Light Horsemen Tell All. Dr. King, who was among those who recently took part in the re-enactment of the Battle of Beersheba and whose great-grandfather was among the soldiers in the original assault on the town, told the audience that it is very important to bring history to life through such re-enactments. He should know; his award-winning live re-enactments of great historical events include the privately-funded 1988 Australian bicentennial re-enactment of the First Fleet when he sailed eleven square-rigged tall ships across the high seas from London into Sydney Harbour where three million spectators greeted his fleet on Australia Day 1988. Dr. King stated the Battle of Beersheba, should become a cornerstone of Australia’s History as this was a Victory instead of a Defeat, which many see the slaughter that was Anzac Cove as. 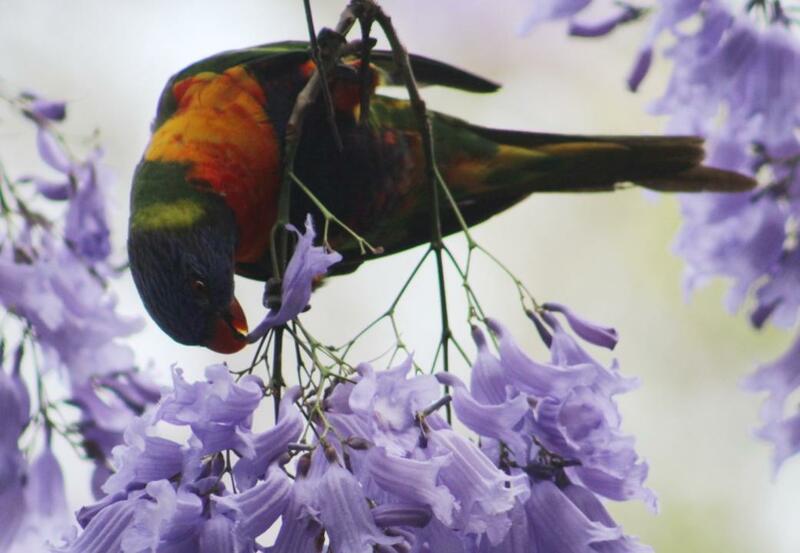 It is also an event many Australians have some contact with. 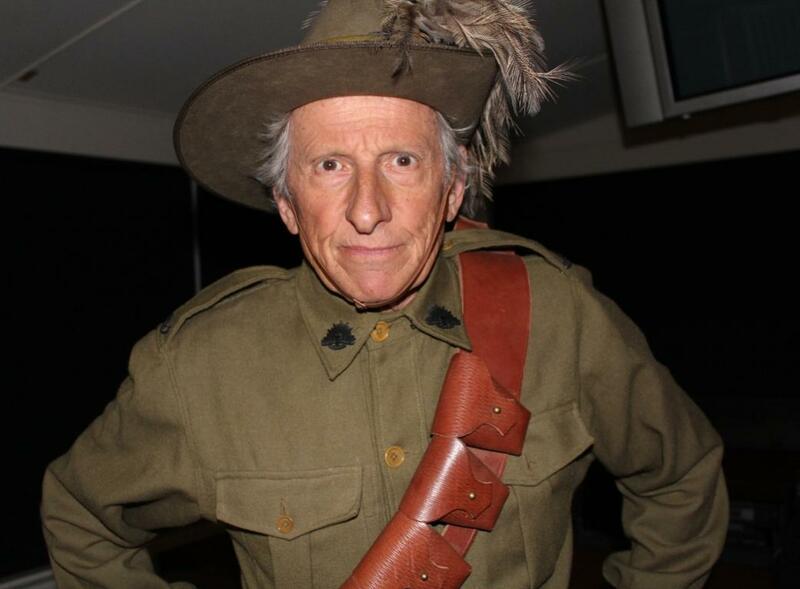 Among the audience on Tuesday night was John, whose Great Uncle enlisted in the Australian Light Horse in WWI or Beverly, another who had a relative in the 7th Regiment. The documentary also brings into sharp focus the horses, which Dr. King explained in answer to one query, were ‘Walers’ named because they were the stock horses from New South Wales, a sturdy fit breed, and ‘Light’ because these were meant to transport men in battle; they weren’t carrying anything other than a trooper, as opposed to the work horses who were pulling heavy guns and doing ‘heavy’ work. Emu Rock Engraving Site, Kur-ing-Gai National Park. You are invited to the exhibition opening of Newport Artist, Mick Glasheen, whose work is known and loved by many of us on the Peninsula. Mick is holding his first public exhibition of his extraordinary drawings. In his panoramic drawings and paintings of the sandstone plateaus, caves and beaches of Pittwater, Mick brings the landscape to life in a way that few other artists have done. Opening December 2nd and running for three consecutive weekends at the Newport Community Centre, these extraordinary works bring a dynamic dimension to an ancient land form and knowing. To prelude this wonderful exhibition Mick will be adding more of his works into his November Artist of the Month page in the lead up to opening night - please revisit his page in the coming weeks to see these breath taking works which may be viewed in full size from opening night.